I recently completed an order for a couple of my Sweet Lambie pictures. Since they are the most popular request, I made a few extra. I will be listing them for sale on etsy soon, but if anyone is interested I have 2 available. Size is 16x20", acrylic on canvas. The background is currently blank, and I am ready to fill in with your choice of verse. Price is $80 including shipping. I'm Kimberly, and this blog is about finding balance as a mom that works. I am passionate about both my family and my career, and I am constantly finding ways to minimize the effort it takes to get it all done, while maximizing my family time. Hopefully you will find some of my obsessive tendencies helpful in your own life. Mama. Papa. Bubba. ‹Mama. Papa. Bubba. under construction! exciting updates to come! 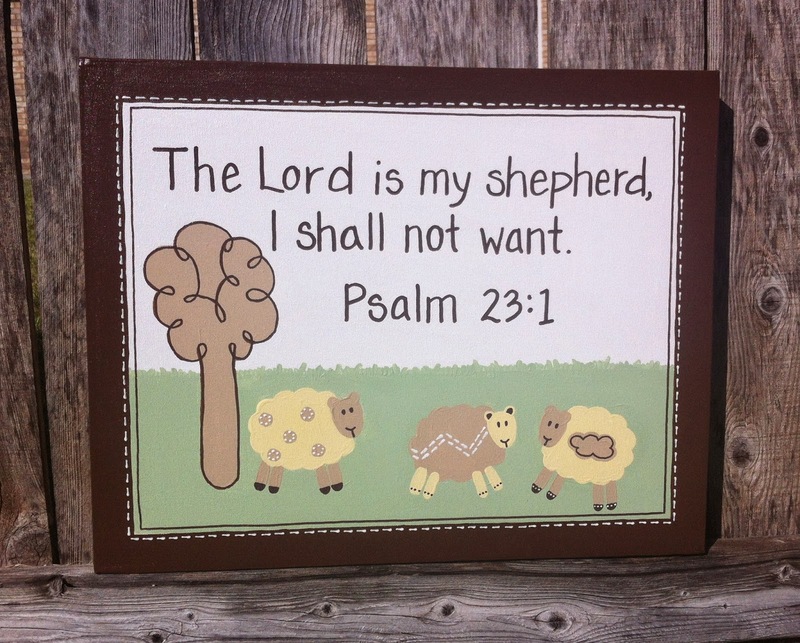 © Custom Nursery Art. All Rights Reserved. I scour the web looking for the most inspiring ideas and I always try to give proper credit to any photos, idea or projects that I feature. If I have used an image of your and you would like me to remove it or change a link, please feel free to email me at customnurseryart (at) gmail.com. If you use an image, photo or idea that I have created, please link back to my blog and give me credit. I believe that sharing is what makes the blogger community so fun!